It’s one of the seven deadly sins and in some traditions it’s thought to be the root of all evil. Aristotle defined it as feeling pain at the good fortune of others. Immanuel Kant extended the definition to include aiming at destroying others’ good fortune. Contemporary society, however, rarely talks about envy, perhaps because consumerism is fuelled by it. This is all the more reason to shine a light on it. Of course, I don’t suffer from it, only others do. I only get angry at injustices or I get upset by others wasting their gifts. Anyway, that’s what I like to tell myself. The truth is that when I dig deeper, the true emotion is envy. So when I see someone get a promotion, buy a fancy house or instagram their holiday in the Maldives, I need to understand that its envy I’m feeling not anger over an injustice. The dark consequences of envy are often excellently portrayed in movies. In Gladiator, Joaquin Phoenix’s Commodus is envious of the military prowess and people’s love of Russell Crowe’s Maximus. It’s enough for him to kill his own father and enslave Maximus: “The general who became a slave. The slave who became a gladiator. The gladiator who defied an emperor…” (you know the rest). 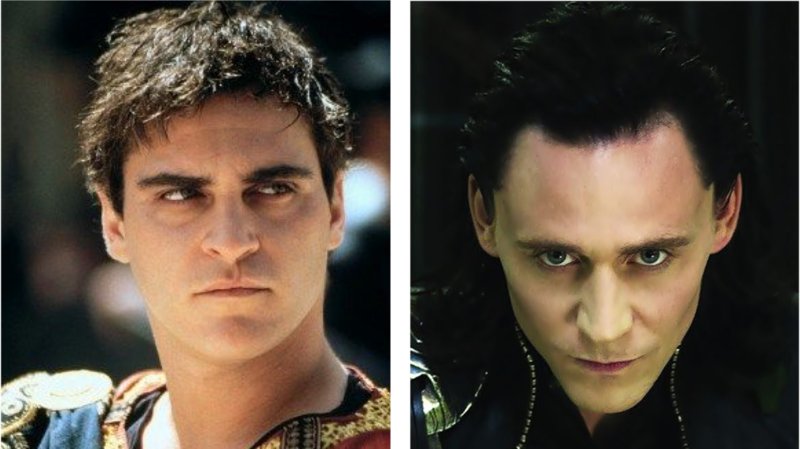 In recent times, the Marvel movies feature envy through the character of Loki . He’s envious of his brother Thor. He wants what he believes is rightfully his – the throne of Aasgard, which Odin, his father, wants to give to Thor. As a result, he sides with the bad guys even going so far as almost killing his mother in Thor:Dark World. Egotism. This is when we feel nobody has the right to have more than us. We cannot bear the thought of someone attaining more wealth and knowledge then us. It gets worse when others agree with the high status of someone else, which could make us want something calamitous to happen to them. Arrogance. This can often be an aspect of our character. Usually, our pride is not justified by any quality we possess. Despite that, when others possess that quality, we wish them to lose it. Fear. We have a real or imaginary adversary we think we may lose to. This may include losing our life, well being, possessions, position, honour, love, neighbours esteem and more. So we envy our adversary when they possess these. This is the commonest cause of envy. It afflicts everyone from the richest in society to children (vying for attention). Ambition. We feel secure but want something else. We want nobody above us, even if that other person is on other side of the world. We usually target people in our own field, but sometimes it could be from all fields as ultimately we want praise. Some target everyone. We wish no-one good. We are just negative on everyone and even envious when we hear of someone we don’t even know.We find pleasure when disasters befall others. We believe any good another has is one less good for us. We don’t just target enemies but everyone. Vengeance. This is the most destructive source. It is our hatred towards a person, group of people, or even an idea or concept. This gives makes us feel justified in having the feeling and acting on it. We see it as an obligation to remove the good someone else has. Don’t act on the feeling of envy. Let the envious thoughts pass and certainly don’t talk to others about it. Do the opposite to what your envy makes you do. So rather bad-mouthing someone who got that promotion, wish them well. If we feel superior to someone else, then we should act humbly towards them and their achievement. Believe that we alone are cause of envy, not the other. So don’t think the other is causing the envy, but rather its our own perspective of the world that is making us envious. If we change our attitudes, we can minimise the envy we feel. Understand that we suffer from being envious. It makes us behave and act poorly. We start to gossip and speak ill of others behind their backs. It can make us lie to undermine others.It can make us anxious and fearful. The constant comparison to others can gnaw at us, rather than appreciate what we have. None of us can escape feeling envy, but we can minimise its affect on us and others. Good luck! Next Next post: My Favourite Books/Movies/Apps Of 2018, What’s Yours?